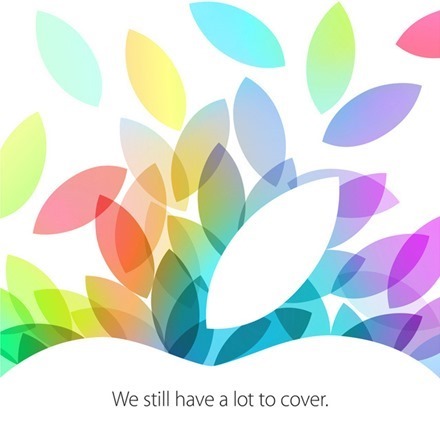 Ars Technica: one of the venerable old school Apple tech sites is live blogging the event. GigaOm: One of my favorite mobile tech writers, Kevin C. Tofel, will also be live blogging the event with Om Malik. This may be my big favorite, apart from the live stream itself, just to get Tofel’s platform agnostic view on things. I’ll be sharing my thoughts on all the new iPad news of course as the day goes on – so I hope you’ll check back here often today. What are your plans for taking in the event today? Are you able to with work and life schedules? 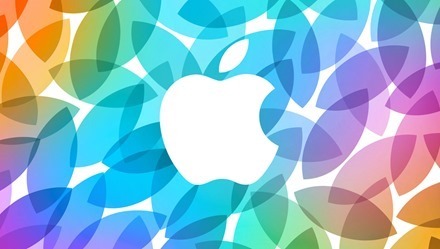 Apple will be live streaming their special event today where they’ll announce new iPads and plenty of other fun stuff by the sound of things. It’s been a long year waiting on new iPad announcements, and now the waiting is almost over. Well, tomorrow is the big day – the day when Apple is going to announce new iPads. 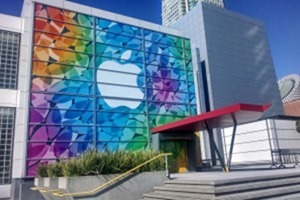 After almost a full year of new new iPad release tomorrow’s special event is expected to include the unveiling of a new iPad 5 and a new iPad mini 2, or whatever names Apple decides to give them. Once again this year the Apple Rumor Mill appears to have taken a lot of suspense out of these announcements and uncovered major details on how both the big and small models will change in their next generation. As for the full-size iPad, the WSJ reiterated claims from an August report that said the fifth-gen tablet will employ GF2 thin-film screen technology to make the device slimmer and lighter than its predecessors. 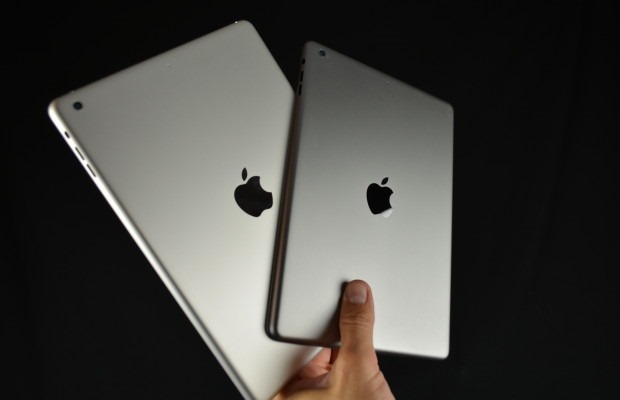 The larger iPad is also said to feature a redesign with thinner bezels and rounded corners, bringing it more in line with the current iPad mini. As far as the iPad mini 2, there’s been a whole lot of back and forth as to whether Apple could manage to upgrade it to a Retina display this year – but all the latest reports (again including the WSJ) now indicate this will happen. So of course I’ve got my own little wish list for the new iPads we’ll be introduced to tomorrow – but it is a very short one this year. Here’s some lovely eye candy for those of us who are already daydreaming about the upcoming iPad 5. The talented Martin Hajek has come up with a set of renders that show what the iPad 5 will look like in situ in an Apple store. 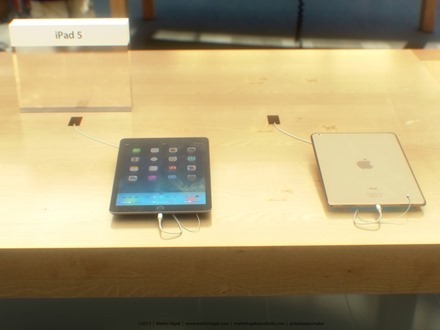 And they look like what we’ve ben lead to expect about the iPad 5th gen – a ‘minifed’ look and possibly that gold / champagne back as an option. You can check out the whole series of iPad 5 in Store images at Hajek’s page for them – which has the excellent title of ‘No Australian Leaker Needed’. The expected ‘mini style’ look for the soon-to-be-announced iPad 5 is looking pretty darn good in the latest ‘leaked’ high resolution photos of it. The photos come courtesy of Aussie writer Sonny Dickson and he’s got a number of high rez shots showing off the (alleged) new look of the 5th gen iPad. What does ‘mini style’ mean for the iPad 5? Thinner, lighter and a little smaller in size. Add the new 64-bit Apple A7 processor and the iPad 5 is already sounding great. 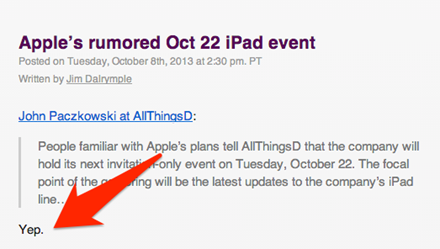 Hopefully Apple will send out invites to confirm an October 22 new iPads announcement event on October 22, and confirm most or all of these latest rumors about a minified iPad 5 and a Retina iPad mini. In the meantime, it’s definitely time to start fattening up the piggy bank for new iPad purchases in the next few weeks. 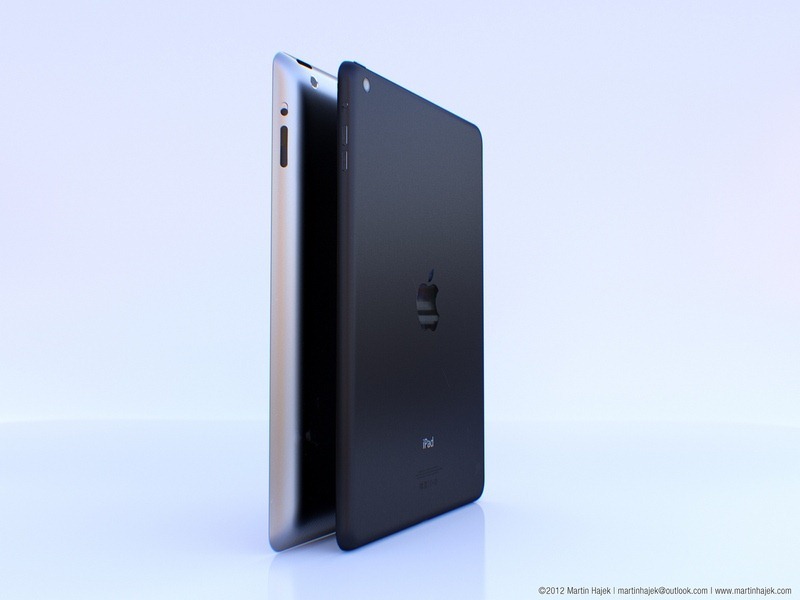 iPad 5 Renderings – Too Soon? Shown above is what a thinner, more iPad mini-like iPad 5 might look like, based on the latest rumors on the iPad 5th gen. 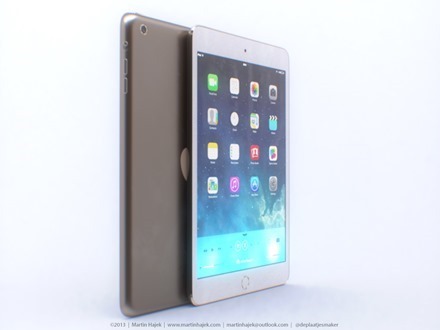 The render was created by Martin Hajek, who created a set of iPad mini renders that proved to be not far off at all when the iPad mini was unveiled. I know it seems awfully early to be talking about an iPad 5 when the iPad 4th gen was only released less than two months ago – but I’ve seen a good amount of speculation that Apple may be moving towards a 6-month refresh cycle for the iPad, so it’s not too crazy to think we might see a new iPad or iPads come March / April time next year. I certainly hope and expect that whenever the iPad 5 is released it will follow the iPad mini in being thinner and lighter.I have also grown to like the slate back of the iPad mini a lot, so I wouldn’t object to that being adopted in a 5th gen iPad either. What do you all think and what are your expectations for the iPad 5?